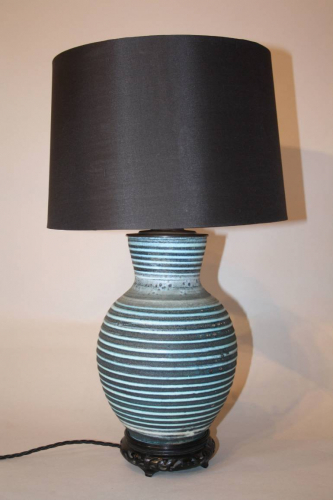 A pale blue and black striped ceramic vase made in the Vallauris pottey region of France c1960. Overall height to top of shade 52cm, shade width 30cm, width of lamp base 18cm. Rewired and PAT tested for UK use.